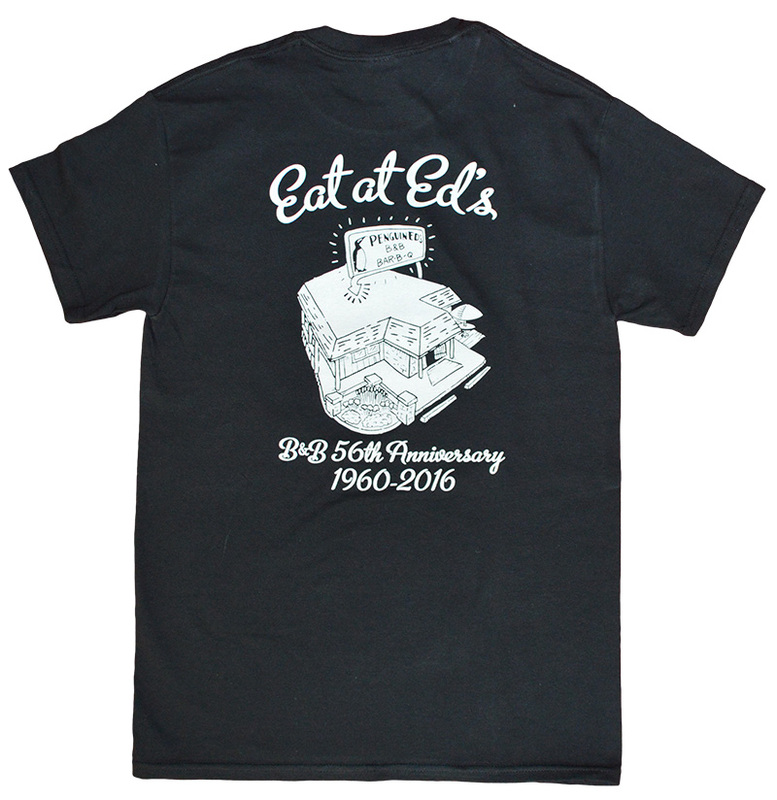 Historic B&B 50th Anniversary t-shirts. 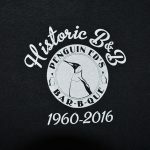 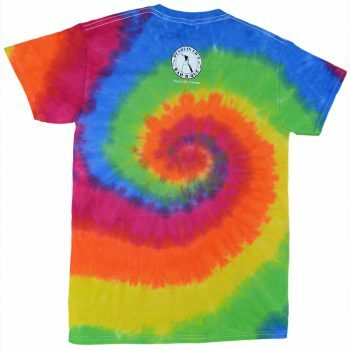 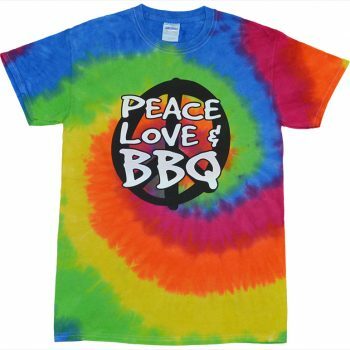 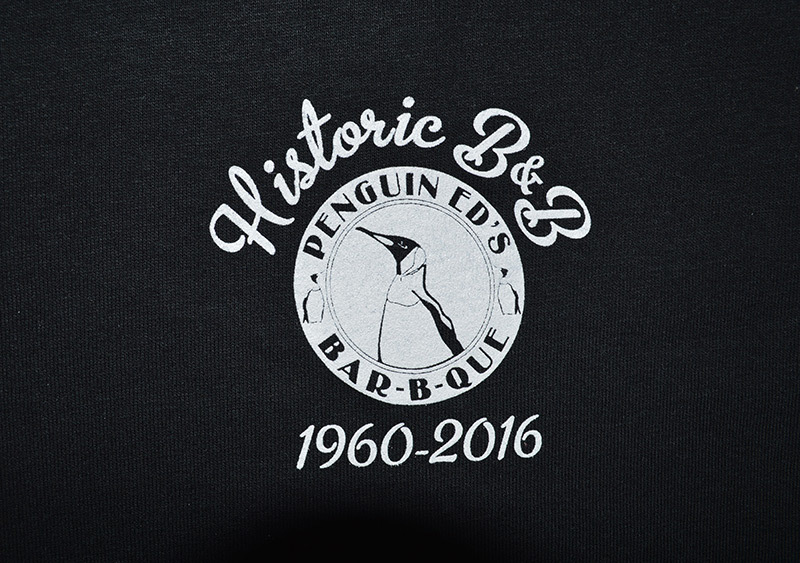 T-shirts honoring the Historic B&B 50th Anniversary. 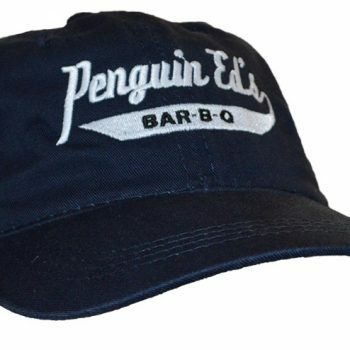 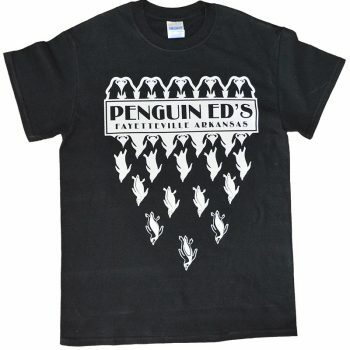 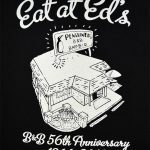 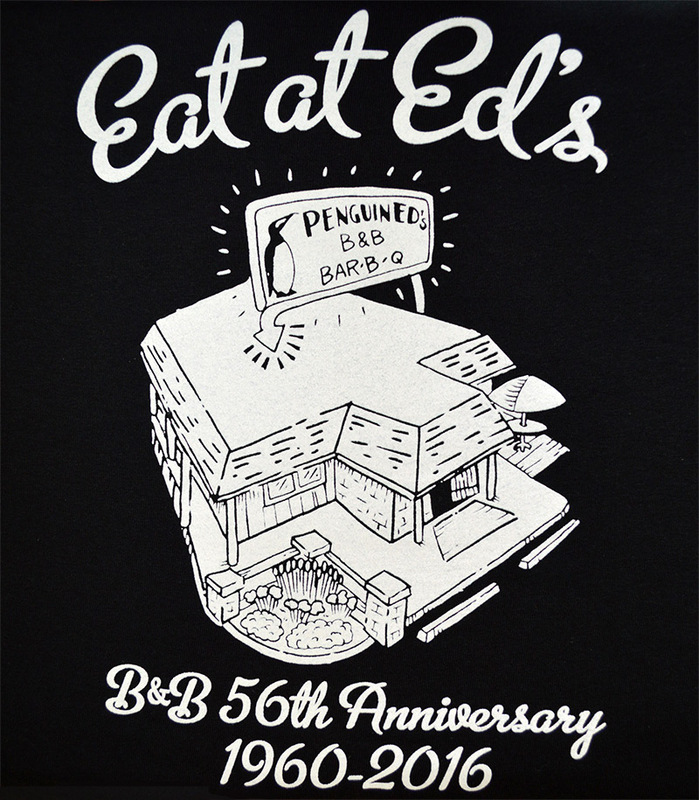 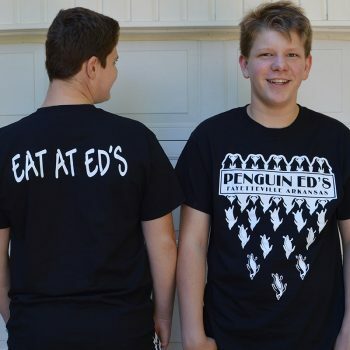 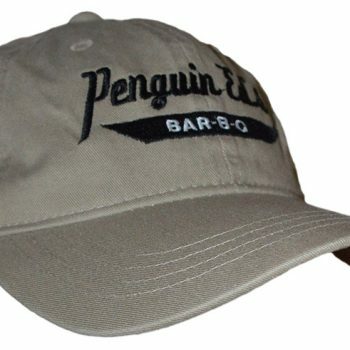 Black with 50th anniversary artwork on the front, and Historic B&B Penguin Ed’s logo on the back. Short-sleeve, 100% cotton.